I know this is a music blog, but I wanted to talk about some Comics/Movies today. Hope you don't mind... If you just want the music scroll down to the bottom. Got some goodies stashed away for you. I always loved comics growing up, especially Marvel Comics (X-Men, Spiderman, The Hulk, etc.). I always liked their drawings and stories better than DC's (Batman, Superman). Who would have thought all those Superhero comic book charecters would later become such big Hollywood Movies. Becoming some of the biggest Blockbusters ever! I guess the kids grew up and still remembered and loved them, plus computers have made it a whole lot easier to make nowadays. There have been tons of Superhero movies made and many more are still in the works (Flash, Wonder Woman, Aquaman). Every year it seems their trying to pump out a new one or two. Sometimes they work (Original Superman 1 & 2, Spiderman 1 & 2, X-Men 1 & 2, Batman/Batman Begins) and sometimes they don't (Daredevil, Cat Woman) It's really hit or miss I think. I think Edward Norton will be perfect for the Hulk. He's a great actor and I hope they get it right this time. First one wasn't as big of a hit as they thought it would be and it left a little to be desired. Although I did like some aspects of the movie like the multiple screen shots which gave the comic book feel, but the movie was just a bit too dark, slow and long I thought. Wondering what type of Hulk we'll get this time? I always liked the television series Hulk played by Lou Ferrigno. Didn't like the CGI one in the movie too much. Looked too fake to me. Even though he could do more of the stuff The Hulk did in the Comics, like jumping so high it'd seem like he was flying, etc. We'll see, but I'm glad they got Edward Norton. I don't think he'll disappoint. Marvels waiting to see how these 2 movies go this year to then move on to an 'Avengers' Movie. 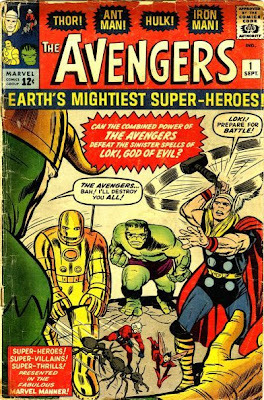 That's another popular Comic book series were a bunch of the Marvel Superheros would team up to save the Universe or fight each other (usually due to mis-understandings, of course) (Hulk Vs Thor, Avengers Vs Silver Surfer, etc) which were always fun and sold the most comics. I'm sure their hoping it will translate well to the big screen as well. If it's done right it could be huge! Kinda like X-Men but on an even bigger scale. Hope the story's good. Good story equals good movie first and foremost I think. Also which charecters will they focus on? Probably Captain America I imagine, but I hope they give screen time to the others as well. X-Men Part 1 & 2 which in my opinion are some of the best Superhero movies ever made are probably the catalysts that proved teaming up superheroes could work and make tons of money. X-Men 3 without Bryan Singer who left to direct Superman Returns hurt the franchise I think. Part 3 wasn't as good as the first 2 Parts. In hindsight I didn't like Superman Returns too much either. Kinda bland and just seemed like a rehashing of the Original Superman. He should have stuck with X-Men 3 and completed the Trilogy. 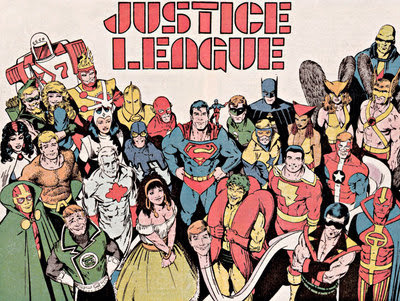 Also in the works is DC Comics 'Justice League of America'. Which should be fun as well. I always loved the 80's Cartoons as a kid and the new ones are pretty good too. It'll be fun to see Batman, Superman, Green Lantern, Flash, Aquaman, etc working on the big screen trying to save the world. We'll see which ones pan out.. but one thing's for sure. Comics helped stir the imagination of millions of kids from all over the world and that ain't too bad of a thing. Now time for some MUSICA!! Went through my CD's from last week and since I did mostly an Electro-Pop mixtape last week, I thought I'd leave you with some new Indie Rock this week. I like to keep a good balance of electronic and rock stuff. It's good for the soul. The first band here is The Depreciation Guild a duo from Brooklyn N.Y. and if your a fan of fuzzy electric guitars like the masters My Bloody Valentine, Jesus & Mary Chain or Radio Dept. this should be right up your alley. Distorted guitars and lovely melodies = The Depreciation Guild. Check out Butterfly Kisses. The next track is a new one from Glasgow's Sons and Daughters. I was a big fan of their first album The Repulsion Box and this new track Gilt Complex is pretty rocking as well. Complete with female vocals & trademark attitude and snarl. If you liked that first album you'll like this too. Their new album's called 'The Gift' and was just released Jan 28th in UK. Not sure when it will be out domestically. British Sea Power has a new album out called Do You like Rock Music? Been digging the single We're All Waving Flags and that deep voice of his. Switches is a UK rock band on tour with The Bravery and apparently doing pretty good on the other side of the Atlantic. The kids seem to be loving them. Their debut album comes out March the 18th in the US. Heres a track called Every Second Counts. Hmm, wonder if they got that title from the New Order track with the same name. Either way its pretty good stuff. Check out more tracks including Drama Queen on their MySpace page. Finally here's a new track from Alex Gopher called Brain Leech. I think he's French. It's a pretty straightforward pop-rock song, but I like it. I leave you with the intro to the 70's Incredible Hulk TV Series. Can't remember how many times I saw this show as a kid. Still looks great!